I have some awesome pendants and neck designs on the way as well as bracelets and earrings…..in the meantime I thought I would post another adorable PANDANT up for adoption on Ebay! Each of my PANDANTS and SIGNATURE PENDANTS will now be coming to you accompanied by a mini journal which features the Inspiration Collage I use on the website. CLICK HERE TO READ MORE ABOUT THESE JOURNALS! the continued value and heirloom quality of each one of a kind design! As Always, just fantastic! 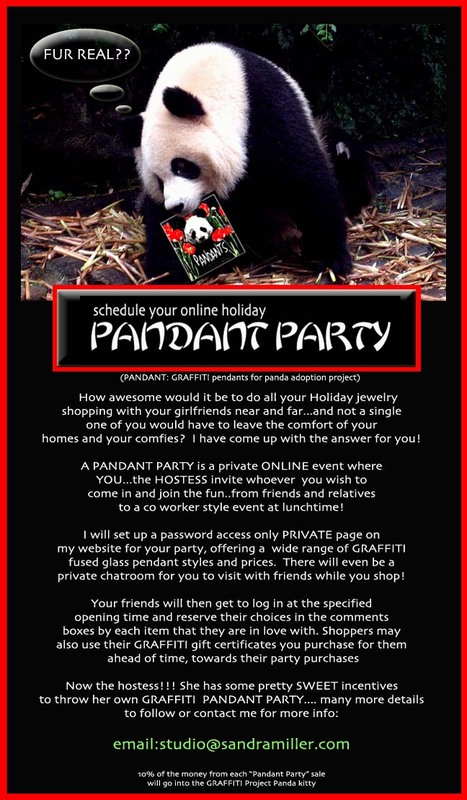 I would LOVE to be able to own one of these beautiful panda pendants….Unfortunatly for me, we are still trying to catch up from being off of work for 2 1/2 months from the semi rear-ending us. Maybe if we end up with a settlement?! 🙂 Great Work! Thank you so much Amy!!! I’m just glad you stop in and take the time to look at what I’m up to!!! I really appreciate the sweet comments! !